One of the world’s most famous scientists says that the U.S. government’s classification of marijuana has absolutely nothing to do with science. “Nobody’s really sure how it works, marijuana. Nobody’s exactly sure what it does,” he said in a new interview released on Tuesday. Schedule I — most restrictive category under federal law — is supposed to be reserved for drugs with a high potential for abuse and no medical value. 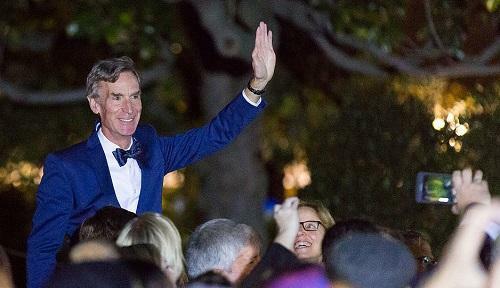 “But people use marijuana and marijuana extracts for all sorts of medical applications, so you’ve got to think there’s something to it,” Nye said.